Learn how to build your personal brand and find social selling opportunities in this interview with “eBRANDgelist” Jack Kosakowski. If you need to build your personal brand to boost your social selling efforts, Jack Kosakowski is the man with the plan. In addition to his sales management role at Creative Agency, Jack shares his expertise and passion for social selling on platforms like Business2Community, Convince and Convert, and the LinkedIn Sales Solutions Blog. We had the opportunity to sit down with Jack to discuss how sales professionals can begin social selling, how to build an online brand, and how to identify opportunities in their social networks. LI: What should sales professionals do before they begin searching for sales opportunities within their social networks? JK: Social selling is all about becoming valuable and visible to your buyers. In order to get started you must have a top notch profile that is clear and creative from the customer perception standpoint. Your social profile has to capture the attention of your buyers within seconds. Look at it as a first impression with your buyer. Think like your buyers when you are creating your profile. What would you need to see in order to engage in conversation with a sales professional and give them time out of your day? Sales pros need to stand out and stop being boring. Your profile should spark curiosity and inspire your buyers to want to know more. LI: What do sales professionals who generate revenue from social media do differently from those who are just as active on social, yet struggle to fill their pipeline? JK: Sales pros that understand and think like their buyers are the ones that stand out on social. Sales has become a super selfish profession in the digital age. The buyer experience has been lost and most of the focus is all about getting the buyer’s time and money without earning it. That has to stop! Top sales pros that leverage social understand that it's not about "me" it's about "we." They understand that becoming an advocate for your buyer first is what sparks a buyer to see your value, not your selfish ask. Social should be used to make your buyer better at their job, to help them look good to their boss, and to educate them at a higher level. Social is that tool that allows you to stop begging for business and start earning it. Also, top sales pros understand that social is no more than a tool to add value, become visible, and create more conversations. They also understand that social selling starts at online conversation and never ends, even after the deal is won. All of us need more visibility and access to each other’s networks. Your network should be your buyer’s network as well. 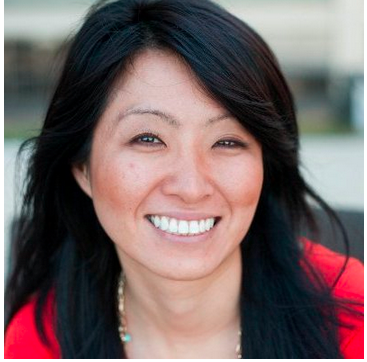 LI: You've certainly benefitted from publishing content, and a lot of sales professionals now turn to you for advice. What is your best advice for others who want to begin building their personal brands like you did? JK: Building a personal brand is the most valuable thing that has ever happened to me personally and professionally. My advice would be to make a commitment that you are all in, or don't waste your time. Building a personal brand takes a lot of time and patience. Content is the true key to building a personal brand. All that value that you are hoarding in your brain has to be transferred to digital paper. Creating content takes a lot of time and amplifying it takes even more time. Also, you have to invest massive amounts of time educating yourself on whatever topic you are looking to build your brand around. You need to know your topic better than everyone else. You need to evolve faster than everyone else. Your personal brand is only as good as the value you bring to your audience on a consistent basis. With that being said, if you make the commitment, you will reap major rewards. The more value and visibility you have, the more conversations and opportunities you will create. Start slow and make a commitment. If you do that, slowly over time you will start to see all of the pieces fall into place. Once you start seeing little wins over time, it will make you hungrier to become more valuable and more visible. The number one thing that drives a personal brand is passion. You have to be on fire for whatever "topic" you are building your brand around. If you light yourself on fire, people will come to watch you burn! We’d like to thank Jack for taking time to share his insight with us. You can follow him on Twitter at @jackkosakowski1, and check out jackkosakowski.com for more excellent advice. 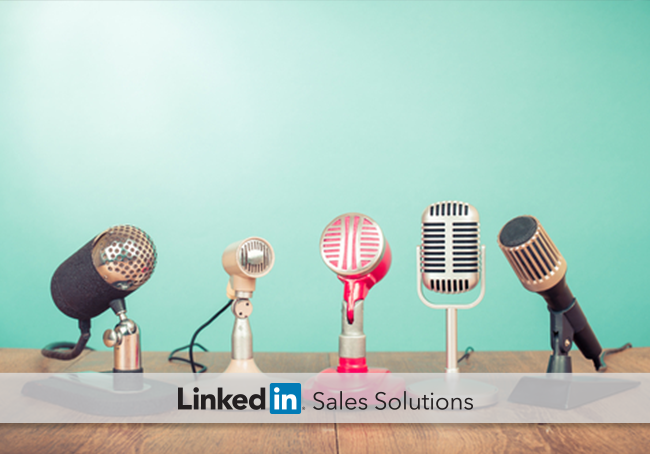 If you are just getting started with social selling, take Jack’s advice: Start with a profile centered on the buyer’s needs, then earn visibility by bringing value to your buyers. Demonstrate your passion and expertise, and you will find opportunities—and opportunities will find you, too. For more social selling tips, strategies, and advice, read Jack's tips in How Personalized Selling Unlocks Competitive Advantage.